Muffins to me are really large, greasy, shop-bought buns. In Ireland buns are small muffins, kind of. 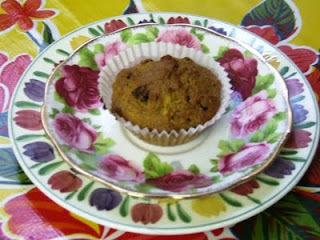 Anyway these are healthy and tasty and hit the right note for this time of year: spice and raisins. A real Hallowe'en combination. The buns are gorgeous - soft and tasty.